We are the proud winners of the 2014 Torch Award for Marketplace Ethics from the Better Business Bureau (BBB). 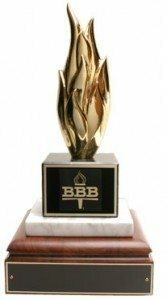 The BBB Torch Award is bestowed to businesses with exemplary ethics to hold these businesses up as examples for others in the marketplace. 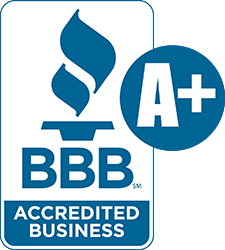 We have an A+ accreditation with the Better Business Bureau (BBB). The BBB Standards for Trust are a comprehensive set of best practices for how businesses should treat the public in a fair and honest manner. We are certified by the Professional Truck Driver Institute (PTDI). 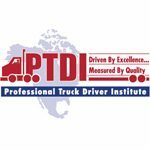 PTDI is the first nonprofit organization to develop uniform skill performance, curriculum, and certification standards for the trucking industry and to award course certification to entry-level truck driver training courses and motor carrier driver-finishing programs. PTDI recognizes Progressive Truck Driving School on a national level because we meet their very high standards. 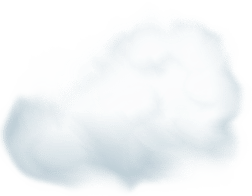 We are a member in good standing with the Commercial Vehicle Training Association (CVTA). The CVTA is an organization committed to providing training programs and a detailed code of conduct that all members must abide by to ensure that enrolled students are provided with the highest quality driver training. Progressive is a proud participant of CDTFI – Commercial Driver Training Foundation Institute. CDTFI promotes, aids, and supports academic and educational programs offered by the commercial driver training and related industries. They help improve the quality of truck driver training; assist students in attending training programs and promote the truck driver occupation. CDTFI military scholarship assistance program exists to provide qualified active duty, retired and honorably discharged veterans of the U.S. armed services with partial scholarships to defray a portion of the cost of attending truck driver training programs. Progressive is a proud participant of CDTFI- Commercial Driver Training Foundation. Progressive is a member of NAVPA- National Association of Veterans Program Administrators. NAVPA is an organization of institutions and individuals who are involved or interested in the operations of veteran’s affairs program and/or the delivery of services to veterans as school certifying officials across the country. NAVPA promotes professional competency and efficiency through members to promote the development, improvement and extended opportunities to any veteran or dependent of a veteran for his or her personal growth and development to its fullest potential. Progressive is proud supporter of NAVPA and its efforts to facilitate the educational training of veterans who are educationally and otherwise disadvantaged. We are a member of the Women In Trucking Association (WIT). WIT was established to encourage the employment of women in the trucking industry, promote their accomplishments and minimize obstacles faced by women working in the trucking industry on the road.